That is, what I set out to do was to investigate what difference it makes going back to first principles with the things we do in Finance, and asking “why?” I know from experience that understanding why we do things can increase our motivation in doing them. Once you can see the end goal, and see the benefits of that goal, any tedious, mundane, difficult or complex steps towards it become less burdensome. And often asking “why” reveals implications that will change the way we do things. That has certainly been the case with all the other areas I’ve looked at from this angle. So, this time I’m turning my attention to Finance business partnering, a subject of growing interest. What is Finance business partnering? And why do we have those roles and job titles within Finance? Why do we need Finance business partners? I’ve put together a “cheat sheet” for Finance business partners, to help you to focus on things that will help the business the most. 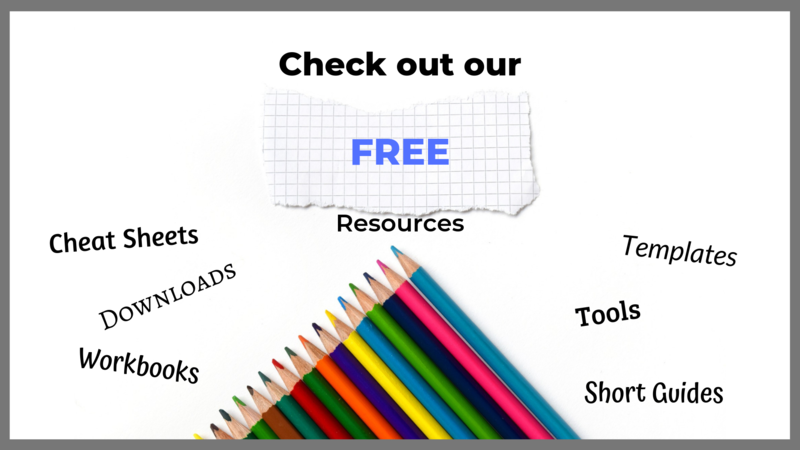 That’s a FREE resource specially to go with this article. Get that here. It’s designed to guide you through a process to identify the best ways that you can work with business managers and drive better performance in the areas that you specialise in. Many other Finance people have contacts throughout the business - and in that sense we’re all business partners. But for those dedicated to “business partnering” that contact, or interface, is their top priority. 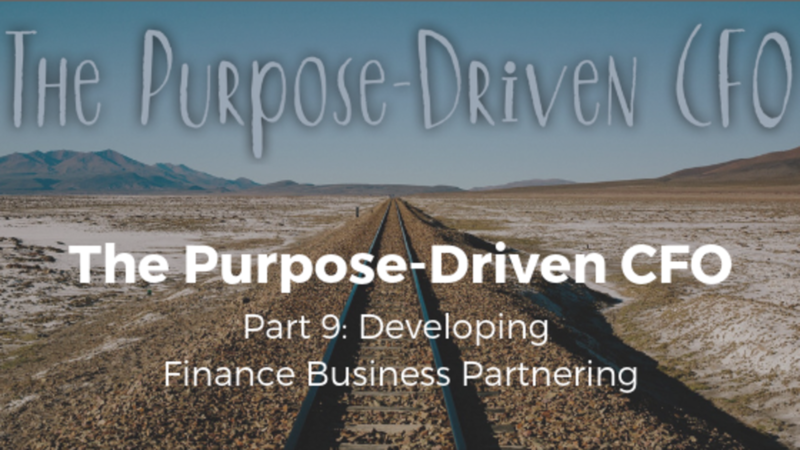 What I want to suggest is that we should drive out the purpose of Finance business partnering from the purpose of Finance that I discussed in Part 8 of this series. And the purpose of Finance, as I argued there, is to drive business performance. Following the logic through, the way I see it is that the purpose of Finance business partnering is therefore to help the business perform better. There are some Finance people I’ve come across who “face off” to a business area who believe their duty as a Finance business partner is to serve their business areas. In practice that means that they help their business contact to negotiate a favourable budget, they help them to hide spurious accruals, and make sure their business cases are approved. They see themselves as existing to fight the corner of the business area they are allocated to. What that means for Finance business partnering roles is that they should model themselves on the CFO role. They are mini CFOs! They are to their business management counterparts what the CFO is to the business as a whole. Secondly, they must be involved in business decision making, not just as a “trusted advisor”, but as a key influencer. That is true partnership. The Finance Business Partner should be part of the management team for the area, and should contribute to discussions and decisions as an equal rather than an observer. The CFO leads the whole of Finance, end to end, every aspect. Mini CFOs also need to maintain an end to end view of Finance, and have contacts throughout the whole function. I went through this briefly in part 8, so I don’t propose to go over it again here. You can also learn more about that in a short guide I wrote, called How Finance Can Drive Business Performance. Here’s the trick. The BPM Wheel model I briefly outlined in Part 8 is designed for this kind of thing. My suggestion is to go through each of the elements in the BPM Wheel framework and note down the relevant issues in each of the business areas that you work with. In fact, CFOs – why not make this an exercise to make sure the whole business is partnered effectively? To do that, start at the top level – the business and the CEO, noting the relevant points for each framework element. The CFO is the Finance Business Partner at that level. 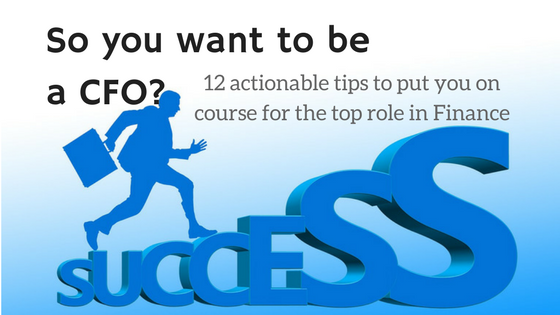 Then take the organisation structure – who reports to the CEO – and treat that as Level 2. For each area (whether a business unit or a function) do the same thing. Note the relevant points for each of the framework elements. Then go down to Level 3 – who reports in to those people and what are their issues with each of the BPM Wheel elements? Go as far down the hierarchy as you need to. But I don’t suggest you go further than team management (or department) level. By doing this you will have a comprehensive view of how strategic priorities, issues and risks flow up and down the hierarchy. And you can start to put together a business partnering action plan. The Finance Business Partnering "Cheat Sheet"
I created a “cheat sheet” to guide you through the process above, capturing the key points in your investigations. It’s another FREE thing I’m giving away just to show how this purpose-driven approach can be applied in practice. 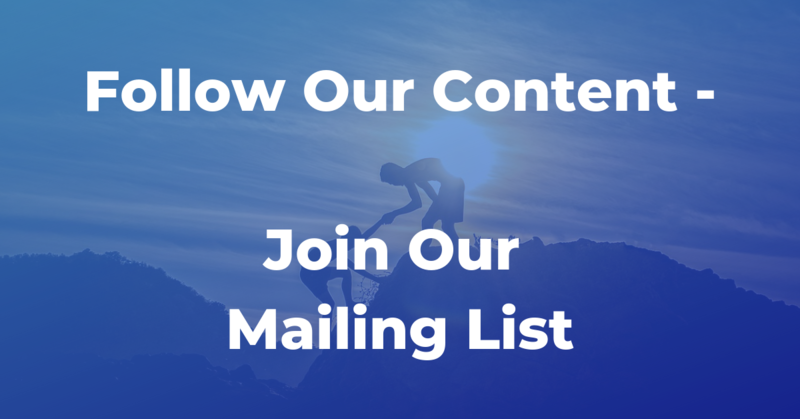 Get that by clicking here! 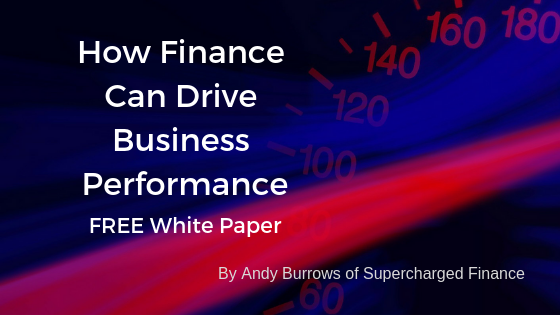 There is also this FREE short guide to help you get your head around the way Finance contributes to adding value and driving performance in business: Download here!